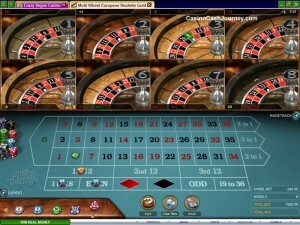 This is a highly popular take on the already famed European Gold Roulette. Players get the opportunity to take on up to 8 wheels simultaneously meaning they can win up to 8 times as much! The highest payout is with the straight up bet which pays 35 to 1 and occurs when players wager on a single number. The split bets are two adjacent numbers that sit either vertically or horizontally. If the ball lands on them, they payout is 17 to 1. A Street bet pays out 11 to 1. You can place your bets with the range starting at 1.00 and running up to a medium range bet of 50.00. The octet of wheels is displayed on the screen and each wheel displays the previous wins. These are the last winning numbers that are depicted. You can employ the AutoPlay by setting up your preferences and the wheels will play automatically. The game also allows you to edit the layout. On the right side of the screen, you will find the “Race Track” a display of the numbers and bets in an oval racetrack shaped formation. 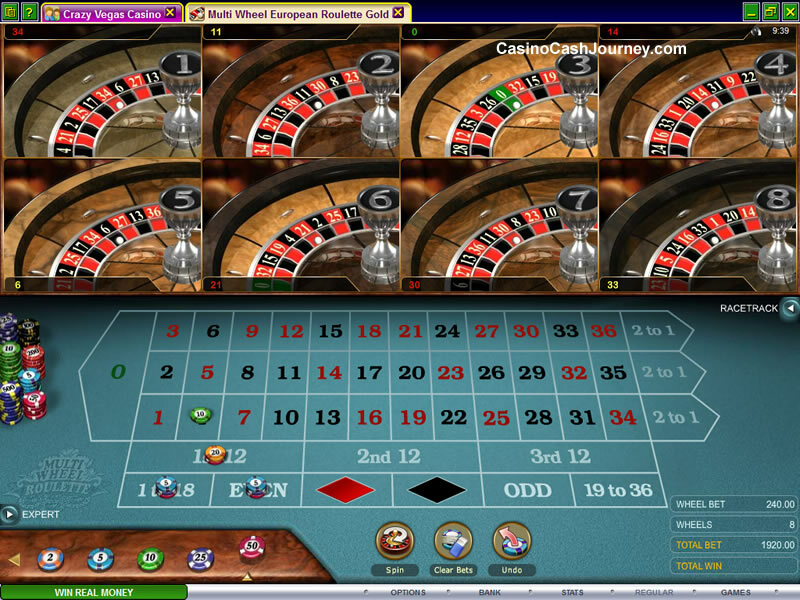 The game is based on French Roulette, which means that there is only one zero on the wheels. There are various rules that you would need to familiarize yourself with, but you will figure them out very quickly, or you can refer to the rules to get a quick overview of the betting allowances. Multi-Wheel Roulette Gold is part of Microgaming™’s favoured “Gold” Series and offers players a realistic feel and atmospheric online casino experience. Place your bets and let the wheel spin to bring you victorious winnings!